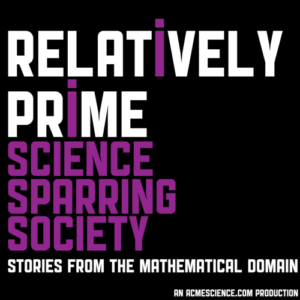 Samuel has been feeling a bit nostalgic recently and was thinking about an old show we can almost guarantee you have never heard of, called Science Sparring Society. It was all based around this idea that from a Frank Swain tweet to make a podcast that told the stories of fights from the history of science. It was so much fun making this show, and Samuel was always sad that more people did not get the chance to hear it. Which is exactly why this episode features the two mathematical fights from the 2012 podcast Science Sparring Society. Thankfully the topics were history already when the show first came out. For the seventh bout we bring to you the fight of infinity. Pitting two of the greatest mathematical minds of their generation against one another, the fight over infinity changed the face of mathematics itself. In the corner of multiple infinities was Georg Cantor and fight for the finite was Leopold Kronecker. You will have to listen to find out who won, and who hits below the belt. Don’t forget to support Relatively Prime on Patreon and give Samuel the best present ever!